Though it will always be 1945 which marks the transition between war and peace in the history books, a strong case can be made for 1948 as the year when several of the most important foundation stones of modern, post-war Britain were laid. That summer, the nationality and citizenship act gained its Royal Assent. The NHS was born on July 5th, a fortnight after a boat docked at Tilbury as the HMS Windrush brought almost five hundred West Indian immigrants to England. The images of its arrival – an era when men wore hats with their sharp suits, as they carried suitcases from a boat – have become central to the iconography of migration to Britain. The inclusion of the Windrush, as a paper mache replica made of newspaper headlines, in Danny Boyle’s Olympic retelling of our island story ratified its place as a founding moment in the making of a multi-ethnic Britain. The 65th anniversary, today, is being celebrated as the inaugural Windrush Day by a broad civic coalition, reaching across the party political spectrum, as a day of thanksgiving for the positive contribution which those who have come to Britain have made to British society. It is also to affirm a commitment, whether we are migrants, the children and grandchildren of immigrants to Britain, or among those who can trace our family histories here back many generations to much earlier arrivals to Britain’s shores, to work together for a shared society. Yet before it was a symbol, the Windrush was a boat, and one with a fascinating, chequered history, having been a captured Nazi German warship before being renamed Windrush. Before its passengers became iconic pioneers of post-war immigration, they were people who made a personal decision to seek new opportunities in Britain. 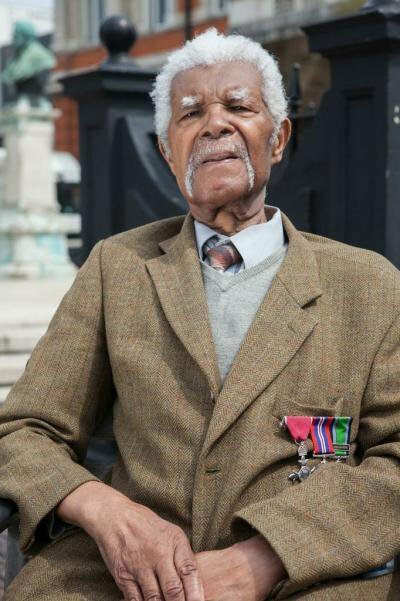 I spoke to one of them, Sam King, now 87, in what is now Brixton’s Windrush Square, as the civic square opposite the town hall is now known, having been renamed for the fiftieth anniversary of the boat’s arrival. “I came here to work. We helped to rebuild London which had been so badly damaged by the war. It wasn’t easy. We had rationing. I remember walking around London and you would not see a single black face. But I worked hard and made this my home. I wanted to build a life for my family and I am proud that my children and grandchildren have done well here, and now my great grandchildren too”, he said. Windrush group -- Image: British Future King also told me about another moment when the West Indians believed they had arrived in England. It came two summers later: the pride felt at winning the Lords Test. He was there, and talks about the bowling of Sonny Ramadhin and Alf Valentine as if it was yesterday. None of the West Indian fans had expected the result, he says, but they stayed behind at the end as a lyric to a Victory Calypso, “Cricket, Lovely Cricket” was written on the spot to celebrate. King tells me that the cricket result sent a broader message too: "I think it did us good. The Empire could see that if you trained these people up, they could do the job". Exploring the history of the Windrush can sometimes disrupt as well as illuminate some of the intuitions and narratives that are often now projected onto it. We think of this as a story of new arrivals - yet many of those coming to Britain on the Windrush were often coming back to Britain. That was true of Sam King who, like about a third of those on board, had fought for the RAF and had his medals pinned proudly to his chest when we met this week. Indeed, the Windrush had been sent to Jamaica to bring back some West Indian RAF men on temporary leave. The decision to place an advertisement in the Jamaican Gleaner newspaper was an entrepreneurial opportunity to fill the empty berths. Windrush is a post-colonial story about what happened after Empire –yet Empire was far from over. From the viewpoint of 2013, with India having become independent, 1948 can seem like a moment when the need for Britain was to adjust to its post-imperial power. That was not the intention of the government at all, with the unanticipated shock of Suez still the best part of a decade away. Labour’s Herbert Morrison, as Foreign Secretary, was quite as committed to maintaining imperial possessions as his Victorian predecessors. The Colonial Office’s rather cloudy crystal ball envisaged holding on to the remaining colonies for generations, perhaps centuries. This imperial context was important to the Windrush story in at least two ways. The persistence of Empire was a reason to leave for those who could, particularly for those who had been away from the Caribbean during the war and gone back to what then looked like more limited horizons than they were willing to accept. "I did not want my children to grow up in a colony", Sam King says. He believed that they would have a better life and opportunities in Britain. Empire also helps to explain what can otherwise sound like a rather romanticised attachment to the idea of the Commonwealth, and to free movement within it. It was clearly a reason for Clement Attlee to repel pressure from ten of his own backbenchers, who had written to him on the day that the Windrush docked. Attlee’s terse reply understated the impact of Windrush, suggesting that “it would be a great mistake to take the emigration of this Jamaican party to the United Kingdom too seriously”. “It is traditional that British subjects, whether of Dominion or Colonial origin (and of whatever race or colour) should be freely admissible to the United Kingdom. That tradition is not, in my view, to be lightly discarded, particularly at a time when we are importing foreign labour in large numbers. It would be fiercely resented in the colonies themselves, and it would be a great mistake to take any measure which would tend to weaken the loyalty and goodwill of the colonies towards Great Britain”. This was a matter of cross-party consensus. David Maxwell-Fyfe had declaimed for the Conservatives from the frontbench, during the passage of the Nationality Act, that “we are proud that we impose no colour bar restrictions … we must maintain our great metropolitan tradition of hospitality to everyone from every part of the Empire”. But one reason that Windrush gained more attention than the Almanzora had seven months earlier was because it triggered the beginning, too, of post-war anxiety about immigration, its arrival being raised in the House of Commons and, somewhat tentatively, in the newspapers. Attlee added that “if our policy were to result in a great influx of undesirables, we might, however unwillingly, have to consider modifying it”. In the meantime the door remained open, while attempts were made to use shipping regulations to discourage any significant inflow. The door to Commonwealth migration remained open until 1962 when politicians on both sides began to introduce more restrictive policies. Trevor Phillips, with his brother Mike Phillips, co-wrote a book and television series in 1998 which brought the Windrush story to a broader national prominence, outside the academy and the classroom, and sought to bring out the real lives of the Windrush generation from underneath the symbolism of the stories that have been told about them. He is confident that the Windrush merits its status as something different. "There is always a philosophical question, about when did anything begin", he told me, and whether to go back to Adam and Eve. The danger of implying that there was no previous non-white presence in Britain before 1948 is understood, but there is little point, he says, in trying to offer a false reassurance that nothing changed in post-war Britain. What made the Windrush different from previous waves of migration was that it was an act of large-scale voluntary migration, says Phillips. Immigration to Britain did not begin in 1948 but with the groups who had come before, from the Huguenots to the Jews, while the story of black migration had been dominated by the legacies of slavery. What motivated many who took the Windrush was neither compulsion nor fear driving the need to escape, but their “spirit of adventure”, Phillips notes. The £28 fare was advertised as a half-price bargain but, as Robert Winder’s history of immigration notes, it represented six months wages for many Jamaicans. 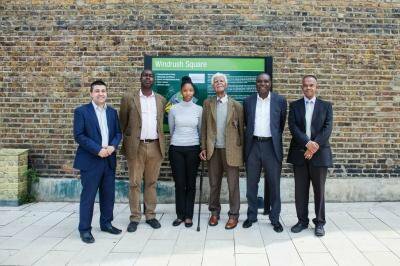 The Windrush has naturally been seen as a founding moment of the black British community for the Afro-Caribbean. It has, over time, become a broader symbol of other journeys to Britain. “The experience is a particular Afro-Caribbean one, but the story and the fable have many connections and resonances”, says Phillips, although the patterns of migration were often different. Few people are aware that there were also sixty Polish refugees on the Windrush too. The presence of the Windrush Poles partly captures the role of contingency in the Windrush story – these displaced people had been on a remarkable round-trip by the time the boat was advertising for more passengers in Jamaica. They had begun the journey in Siberia, and their route via India, Australia and New Zealand to Mexico, and then Jamaica, was not the most direct route to Tilbury. The Polish presence on the boat captures how the immediate post-war era also continued to be a moment of movements, of disruptive change, when a great many people were on the move, a story captured in that greatest of all refugee movies, Casablanca. Yet the balance of the Windrush passenger list speaks to the shift from sanctuary to economic migration as the dominant reason that people came to post-war Britain. The half a million Poles in Britain are usually found at the end of a long list of those who have come to Britain – from the Huguenots and the Jews, through the Afro-Caribbean and Asian communities, to the Polish wave when the country joined the European Union after 2004. In terms of numbers, there is a truth in that, but it is not the whole truth. There is a great deal of Polish involvement in Britain at many previous points, just as there was a long Afro-Caribbean history of engagement and involvement with Britain before 1948. The Windrush story casts interesting light on contemporary debates about integration. The Windrush passengers believed that their Britishness was non-negotiable and yet they were to find, after arrival, that they would have a long process of negotiation to secure it. This was an important moment of disenchantment: to find that the idea of Britain inculcated in Kingston's classrooms was far from universally acknowledged on London's streets. In her novel, Small Island, Andrea Levy (whose father was on the Windrush) gives her fictional ex-RAF man Gilbert Joseph the plaintitive cry, "How come England did not know me". Integration certainly depends, foundationally, on the desire to belong. The story of the Windrush generation is partly about an unwillingness to accept those who want to belong; a critical impediment to integration. Nobody would claim that the history was easy. This is a story about contribution and change, but also about a sense of loss: the disappointment of racism shattering ideals and illusions about Britain; a sense of displacement and dislocation in Britain too. "Every generation of migrants believes that they have come temporarily, until they have children", says Phillips. Just as the Windrush generation, by the 1960s, realised that they were here to stay, Britain was still debating. In slogans like "send them back" the experiment of multi-ethnic Britain was a subject for reversal. These were painful years. Yet Windrush has become part of a shared history that suggests this renegotiation of national identity was, ultimately, successful. Questions of who counted as British were largely settled though there is certainly still much anxiety about immigration today, as there was in 1948. What is striking is how often anxiety about the present or future can now be combined with an uncomplicated acceptance of those who came before. That suggests that Britain has more of a history of integration than we tell ourselves, though it can sometimes feel as though integration can be signified when those who were part of the previous wave share an anxiety about whoever may come next. The arrival of the Windrush was the beginning of a new chapter but is, perhaps, now best understood as a half-way point in Britain's island story. As Zadie Smith wrote at the end of her novel White Teeth, looking back from late in the century at the mutual entanglements of multi-ethnic Britain, "endgames must be played, even if, like the independence of India or Jamaica, like the signing of peace treaties or the docking of passenger boats, the end is simply the beginning of an even longer story". Britain will continue to debate and argue about immigration, but the story of social change can also be seen through more than a million individual stories. Today, Sam King, at 87, lives in south London with four generations of his family. He has made an enormous contribution to his adopted home, both during the second world war and since returning with the Windrush. It is good to have a day to be thankful for his contribution, and those of so many others, to our shared country - because he chose to come, and chose to stay.